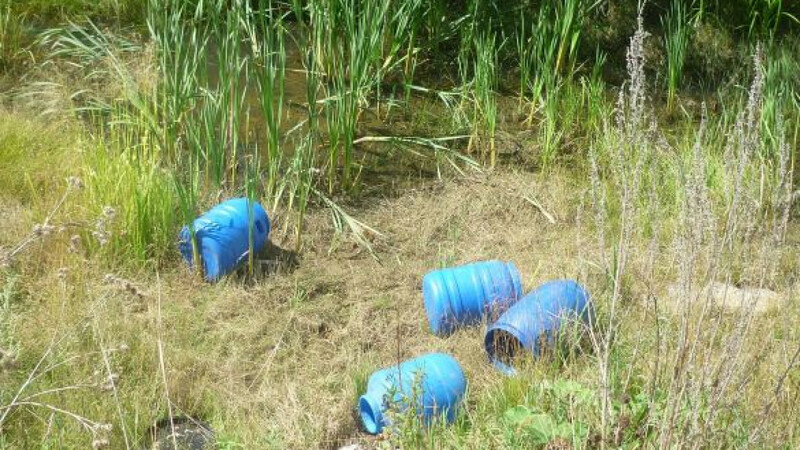 Police discovered the preserved fetuses encased in plastic barrels in a Sverdlovsk region forest. Sverdlovsk region authorities are conducting an inquiry into the discovery of four barrels containing 248 human fetuses in a forest in the Urals. Regional police said Tuesday that the "discovery worthy of a horror movie" was made by residents of the village of Anik late Sunday. The police reported Monday that about 50 human embryos had been discovered in plastic barrels at a spot five kilometers from a highway linking the region's capital, Yekaterinburg, with Nizhny Tagil. But the reported number almost quintupled by Tuesday morning when all the fetuses were counted. Attached to the palm-sized fetuses, which had been preserved using formaldehyde, were tags containing surnames and numbers. Police believe that the numbers indicate the hospital wards where the women who produced them had been patients, Sverdlovsk region police spokesman Valery Gorelykh told Interfax. The police suspect that one or more of the four nearby hospitals are responsible for dumping the barrels. The barrels were apparently thrown into a ravine, where their lids detached and some of the unborn babies dropped out onto the ground, the police said. Health officials in Yekaterinburg hurried to say in a statement Tuesday that all hospitals in the city have contractors that dispose of fetuses that might be the results of miscarriages or other incidents. The statement did not specify the companies that were responsible for disposing of fetuses. The Sverdlovsk region health department said the fetuses could not be from abortions because of the tags attached, Interfax reported. The Russian Orthodox Church denounced the fact that the fetuses were seemingly treated as garbage. "The tragic fate of those who died before birth is a sign of the degradation of our society," Moscow Patriarchate spokesman Vladimir Legoida said in a statement.